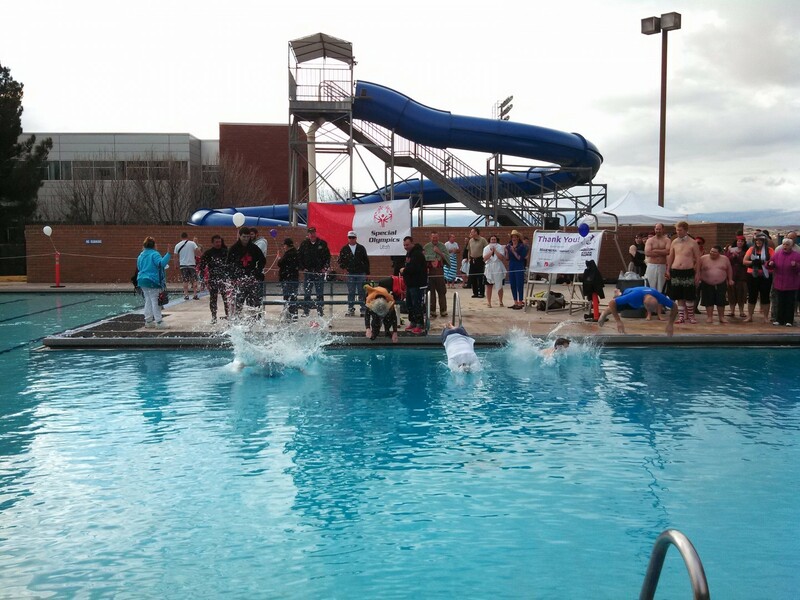 ST. GEORGE – Up to 50 people took the Polar Plunge challenge at the St. George City Pool this morning to help raise money for the Special Olympics. 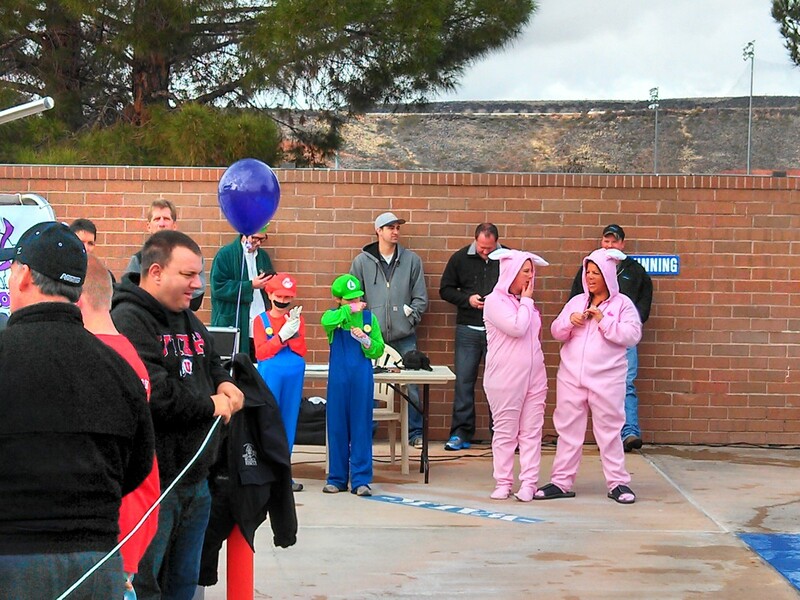 St. George’s Polar Plunge started at 10:15 a.m. after prizes were given out to those who helped raise the most money or wore the best costume to dive in. 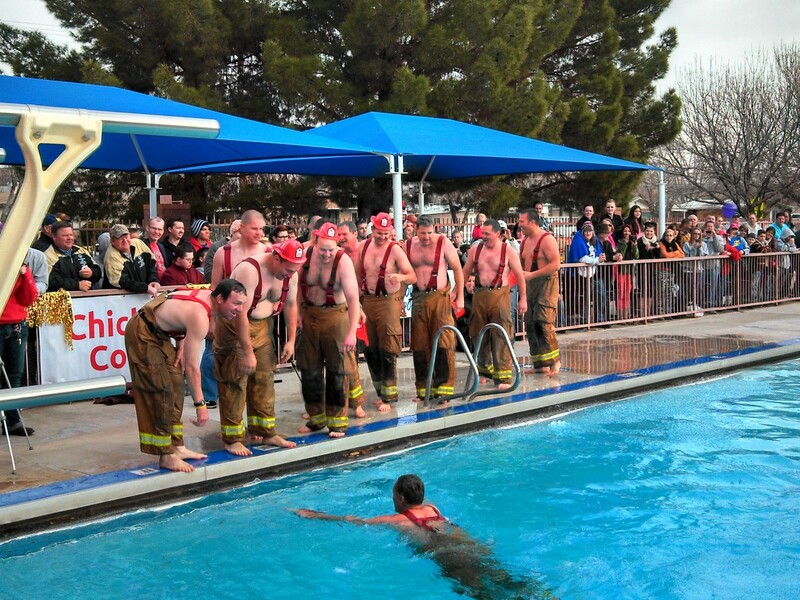 Officer Jeremy Needles, St. George Police Department, said up to 50 people arrived to dive into the ice-chilled pool. Among them were members of the St. George Fire Department, students from Snow Canyon High School, City of St. George Attorney Shawn Guzman and City Manager Gary Esplin, a group of divers from Salt Lake City dressed as pirates, a pair of pink bunnies and two 10-year-old twin girls who dressed as Mario and Luigi of “Super Mario Brothers” video game fame. 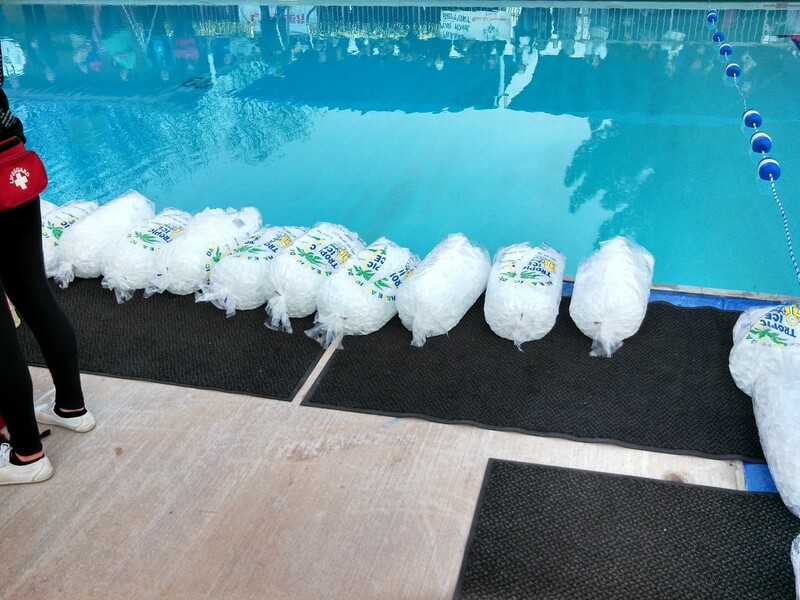 Before the divers jumped in, multiple bags of ice were ripped open and thrown into the pool to add to the chill. “(The water) was cold enough to give you a shock,” Polar Plunger John Hiatt said. 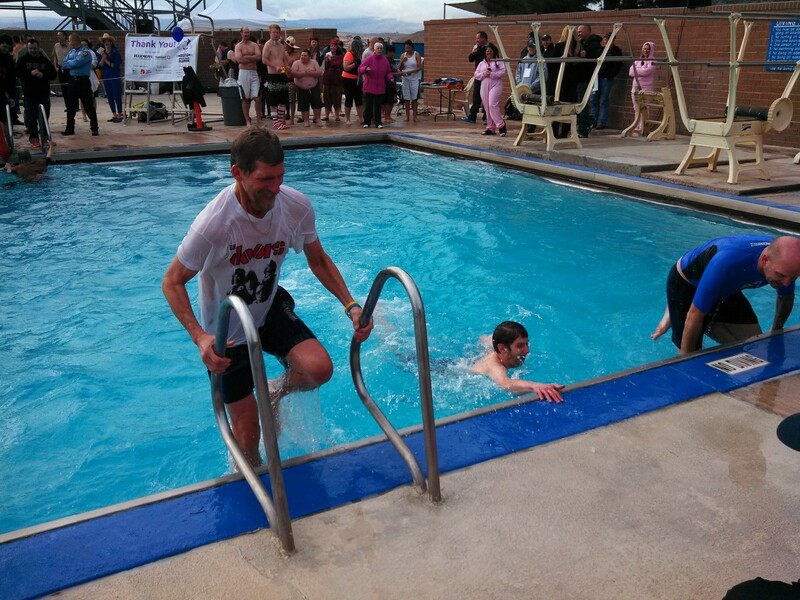 Needles confirmed St. George Mayor Daniel McArthur also took a plunge, though due to a conflicting schedule he had to do so earlier in the day. The officer also said St. George City Councilman Jon Pike had been challenged to take the plunge, but he was unable to make it due to illness. Though he didn’t dive this year himself, Needles said he plans to do so next year, as the Polar Plunge is set to become an annual event. Over $7,600 was raised through online donations, Needles said. An official tally has yet to be made for donations gained the day of the event, but he estimated it could bring the total up to around $10,000. All money gained through the event goes to benefit the Special Olympics. St. George News videographer and reporter Sarafina Amodt contributed to this article.